SO WRONG, THEN SO RIGHT ....... Seinfeld jeans, garden party-chic, pattern crash, sleepy hair. That which is always interesting in fashion, the trick is to balance narrowly on the very limit of what is bad, cheesy and outdated. Gambling with dynamics with all to win. 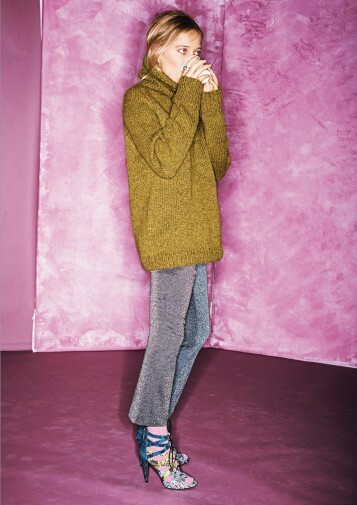 This collection is full of lightly knitted, oversize basic wardrobe favorites with fine details, a solid foundation to go with or go further with. The collection is designed by Lene Holme Samsøe. For the moment the patterns are only available in Norwegian.